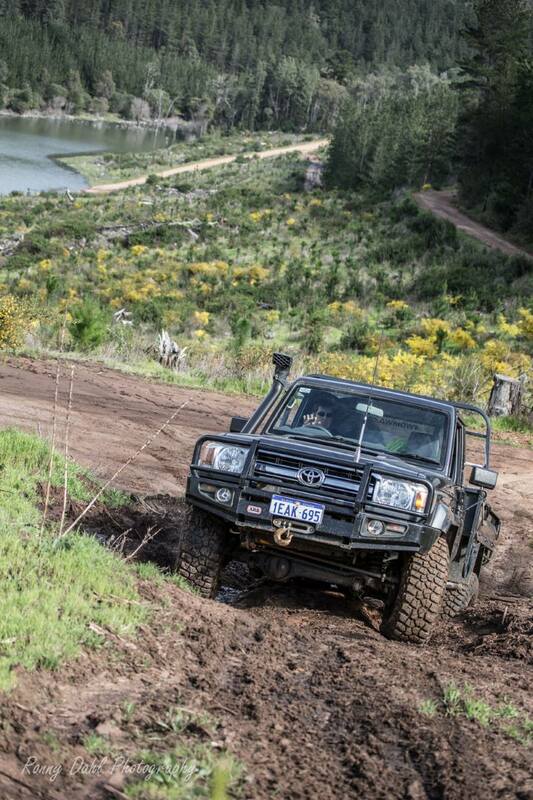 Harvey Dam, best 4x4 area. We think we have found our new favourite place within 250 kilometres from Perth, Harvey Dam! This area has so much to offer and it’s all in the one area! 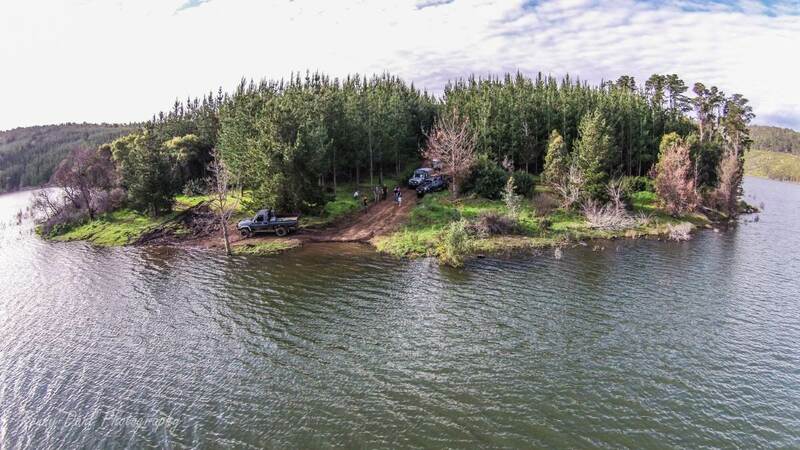 The tracks are exciting and cater for most levels of 4WD’ers, beginners however are strongly advised to travel with the experienced 4 wheeler as medium level tracks can take a sudden turn for the worst and become very difficult due to weather and water levels. 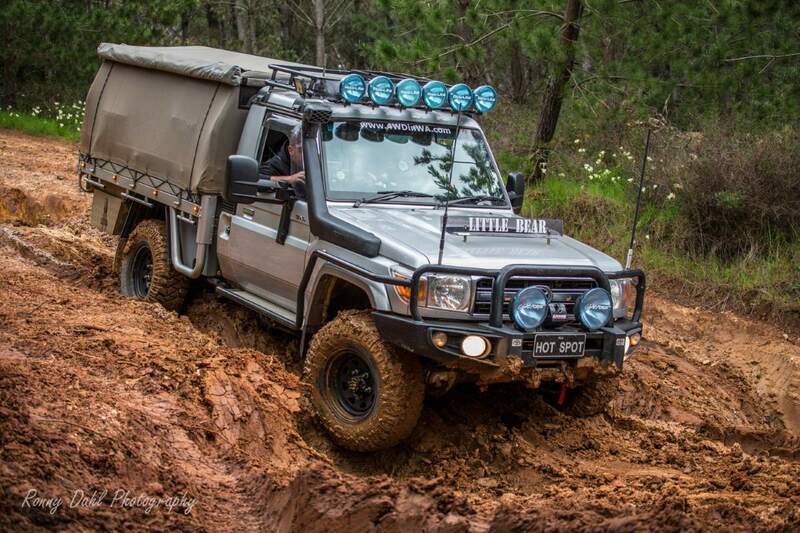 There are plenty of tracks which will test the more experienced 4 Wheel Driver and the terrain constantly changes from solid dirt, rocks, mud and all combined on a few hair raising hills climbs and hill descents. 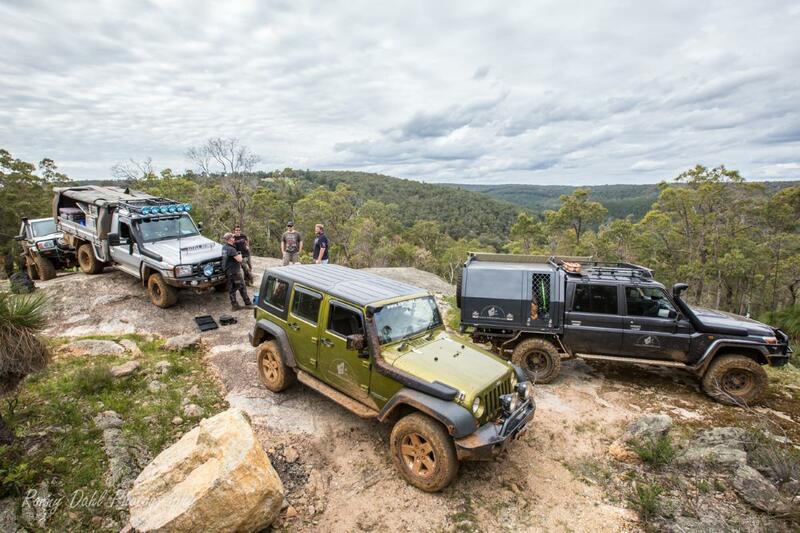 Tracks for hard-core 4x4 vehicle setups will even have a few challenges on at least 3 hill climbs we were not even thinking of trying, one of these hills is known as a milder version of Bobs Hill from Brunswick. At the bottom of our first hill descent. All of these tracks (medium, hard – impossible) snake around Harvey Dam up and down the hills and even through the dam when the water level is high. Whilst we visited Harvey Dam there had been a lot of rain (winter of 2014) which had raised the water level so high it was completely covering more than a few tracks by up to 2 meters and spilling halfway over plenty of over tracks. Attempting any completely submerged track would be foolish and only result flooding a vehicle. Apart from all the great tracks there are other things to see and do, Harvey Dam is a recreational dam which allows for Canoeing and marroning (snare-only marroning). There are also plenty of great areas for kicking back and enjoying the views from the water’s edge, I would even travel to Harvey Dam just to do exactly that! Our day started with meeting our local friend Wayne who has great knowledge of the area. We headed down Honeymoon road and took a turn down a side track a few km’s in, here we aired down and started our adventure with a very step muddy hill (Wayne really knows how to find these by the way), this hill is the start of the video. Once we were all down the first challenge the lake (Harvey Dam) was right at our tyres covering half the track, the view right there was amazing. After taking in the views Wayne lead us through some deep rutted tracks onto hill climb upon hill climb, these ranged from easy to hard which meant the winches came out 4 or more times, the Jeep even snatched up one of the cruiser which was cross rutted at one stage (also in the video). We then set onto a real challenge, this one involved a lot of rocks on a cork screw shaped hill with a risky exit if the wheel placement was not spot on (last hill in the video). Only 3 of us attempted this hill as it required more than 2 inches of lift, big tyres and diff lockers with some helpful spotting). After our adrenaline rush from the tough rocky hill Wayne took us to a rocky outcrop which was our lunch spot with great views. After lunch (a late lunch due to a lot of winching) we headed for the water’s edge again to enjoy the spectacular serenity with a few cold ones before we all made our way home. Medium – Extreme depending on track choice. Winter, things will get real slippery and approaching with caution is highly recommended, as always 4 Wheel Drive recovery gear is a MUST including recovery points. Recoveries in this area are likely to have strong forces involved. 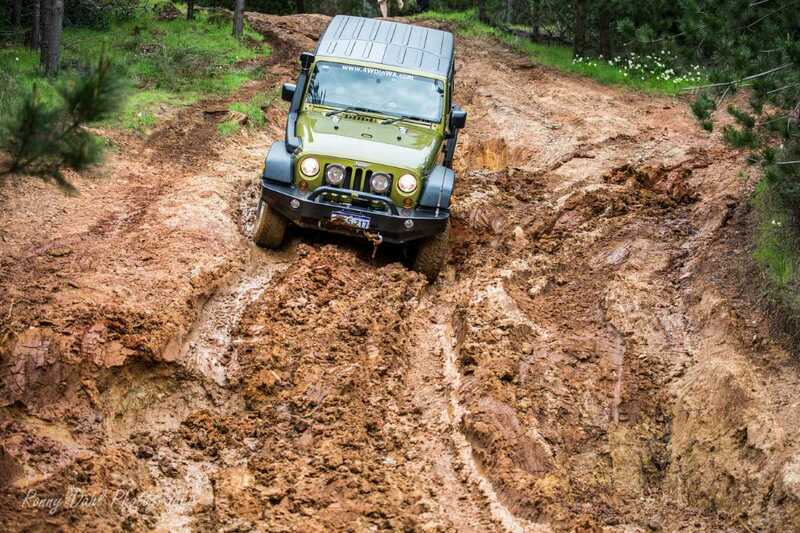 Sticking to ruts in most cases would be advised as cross rutting a 4x4 in this type of steep terrain is not wise! If the track is too tough turn around. Summer time will be all about wheel placement but traction there should be plenty of. Recommended tyre psi is 16-25, low range gearing is a must in summer & winter. High clearance 2 inch lift kit or more recommended for all vehicles. Bring a stock vehicle to this featured track is not recommended! If this is your first time off-road do not come to this area alone and expect to just sticking with the well maintained tracks and roads. Explore a beautiful area with so many track options and hidden secrets. 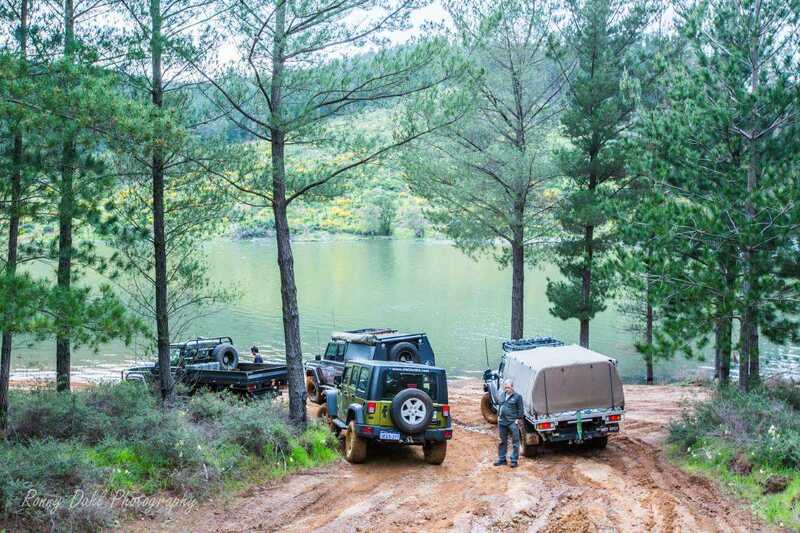 Enjoy one of the best 4x4 area’s W.A. has to offer. Relaxing by the water edge. Winter is hands down the best time; however summer would still be well worth it and more tracks will be exposed as the water dries up. 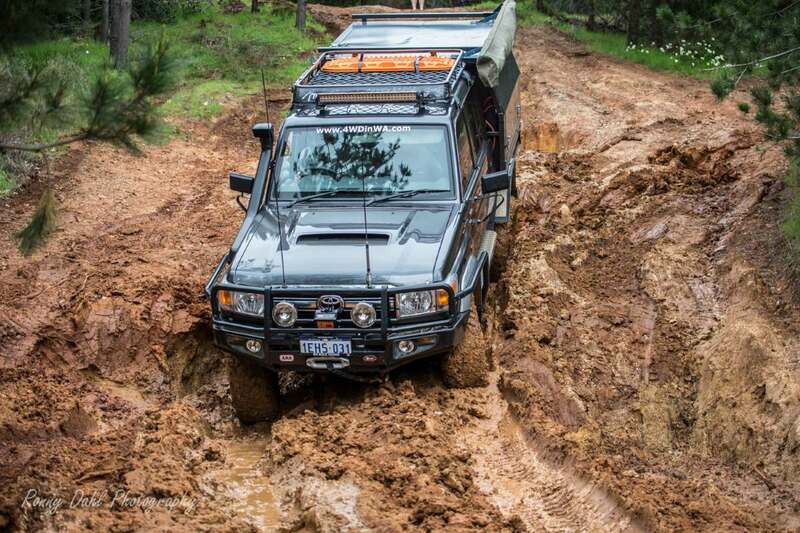 Leave Harvey Dam And Go 4 Wheeling In Western Australia.